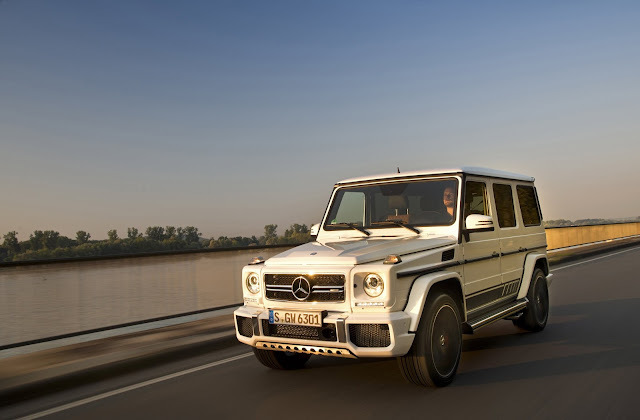 All Mercedes-Benz G-Class models now offer up to 16 percent more power and up to 17 percent lower fuel consumption. 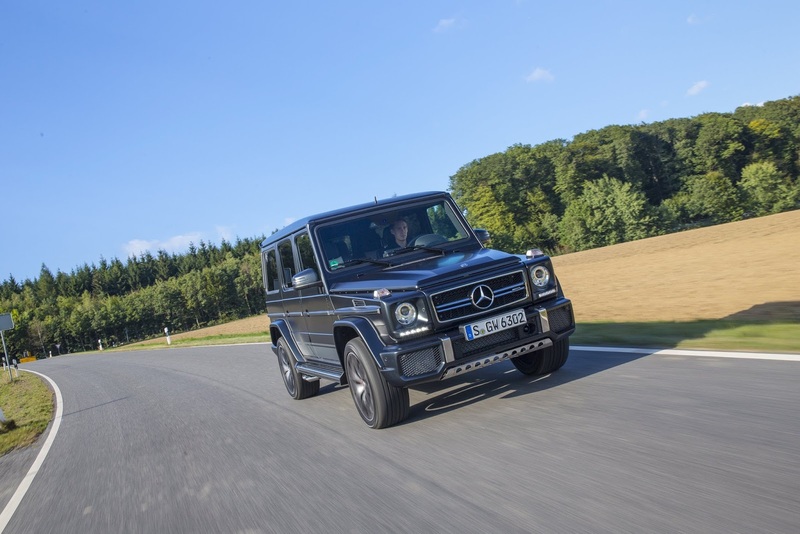 The range includes the G 500 with a new, powerful 4.0-litre V8 biturbo engine. 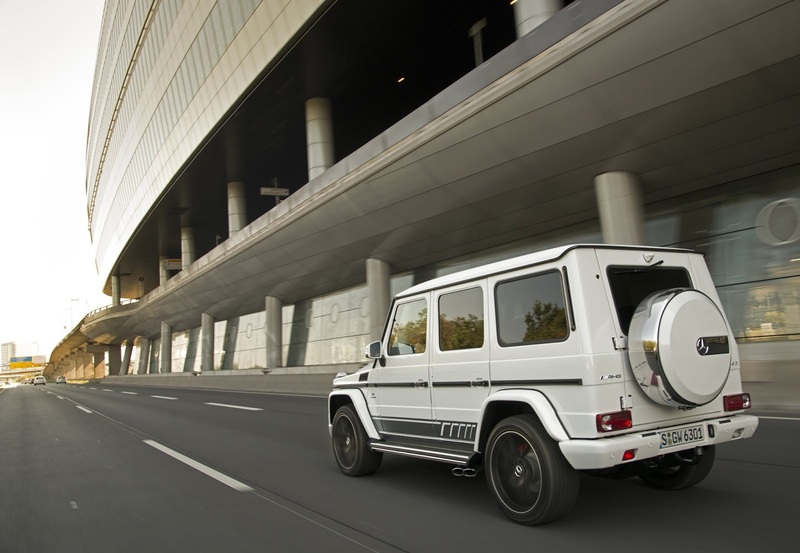 All engines are compliant with the latest Euro 6 emissions standard. 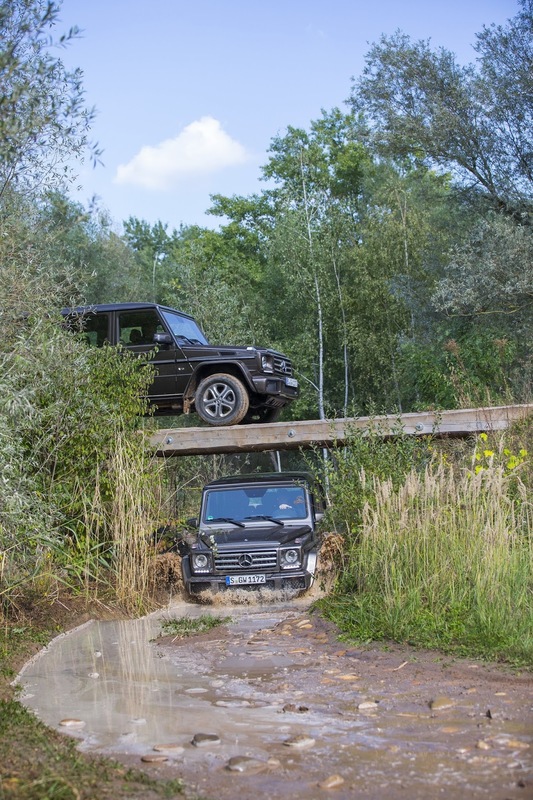 A new suspension setup together with more sensitive ESP® control results in increased driving stability, safety and road comfort. 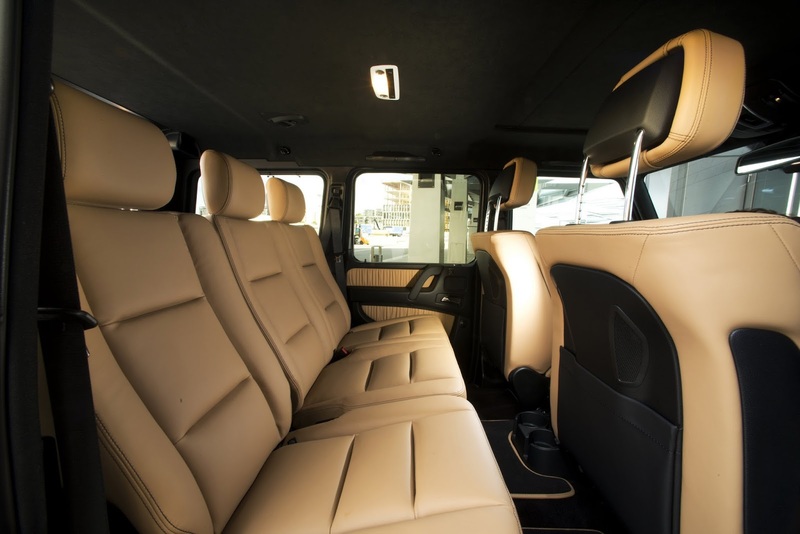 The exterior and interior have also been given an upgrade. 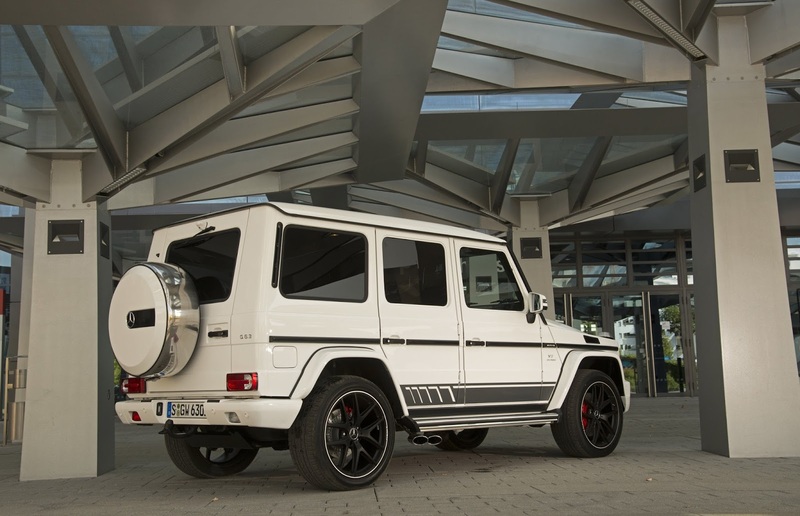 The exclusive AMG EDITION 463 and the G 500 4x42 are also being launched. 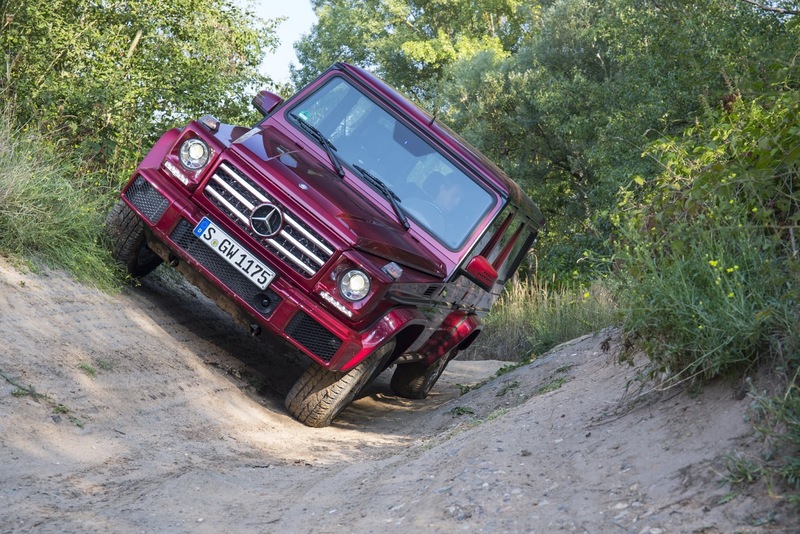 Mercedes-Benz's classic off-roader is beginning a new chapter in a success story that spans more than 35 years. 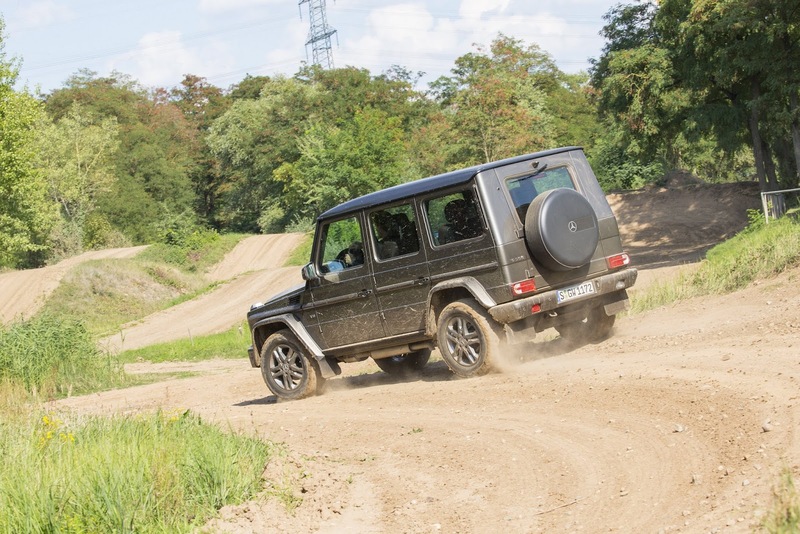 With its continuously improved technology and high-class equipment specification, this all-terrain icon has consistently satisfied the highest expectations of off-road fans. 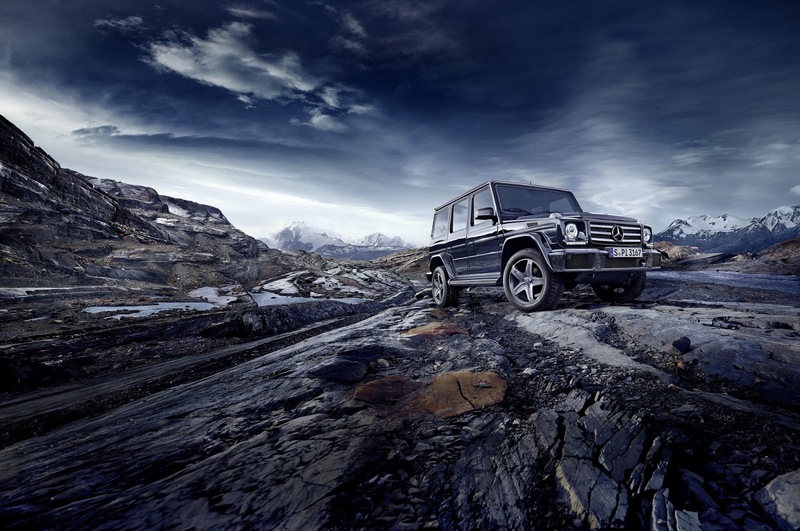 True to this tradition, a new 4.0-litre directly injected V8 biturbo engine is now celebrating its world premiere in the G‑Class. 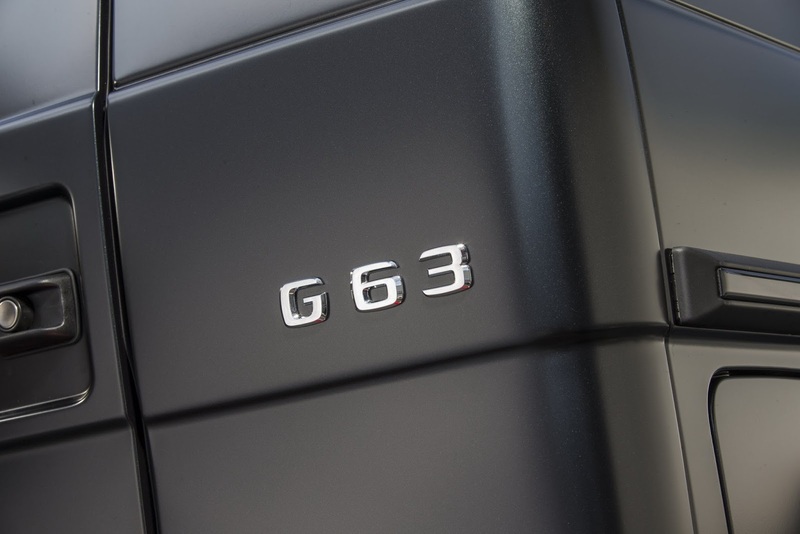 The new 8-cylinder powerplant in the G 500 can point to an exclusive heritage. 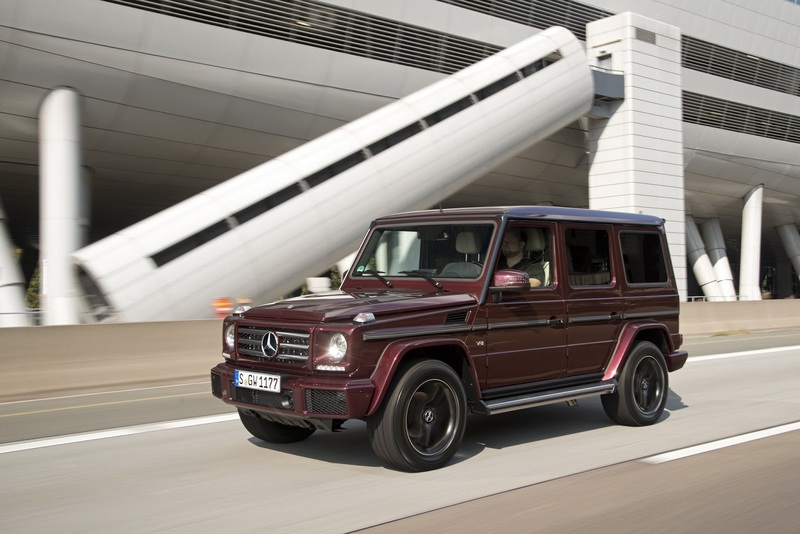 It is based on the new generation of V8 engines developed by Mercedes-AMG that have already coaxed exceptional levels of performance out of the Mercedes-AMG GT and Mercedes-AMG C 63. 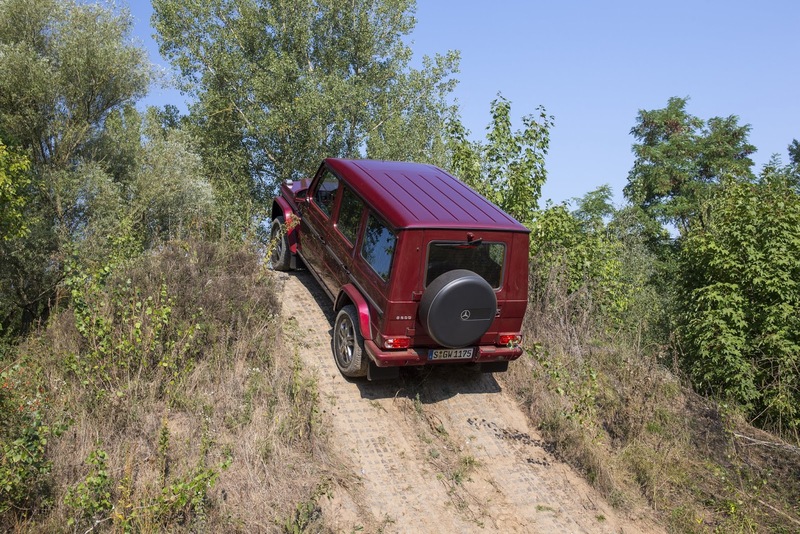 For use in the G-Class, the V8 has been modified to deliver 310 kW (422 hp) with torque of 610 Nm. 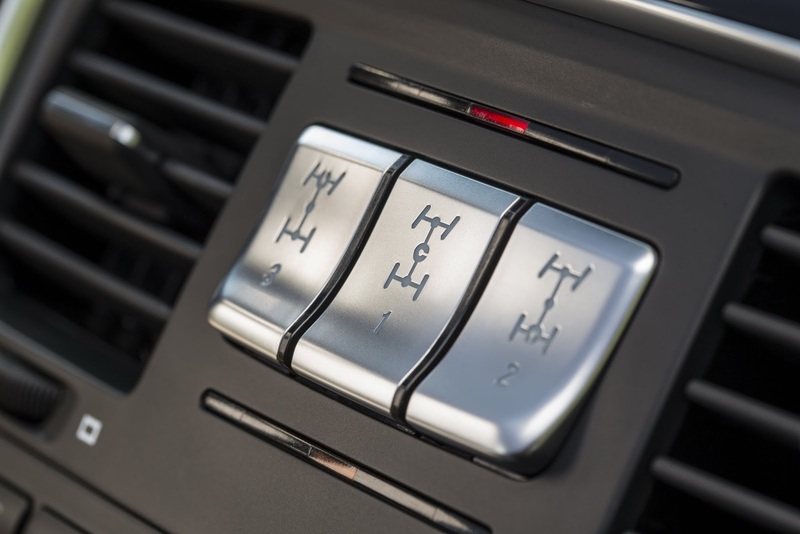 Other standout attributes include a spontaneous response and high tractive power made possible, for example, by two turbochargers, which instead of being configured on the outside of the cylinder banks, are arranged between them in the V – the so-called "hot inside V". 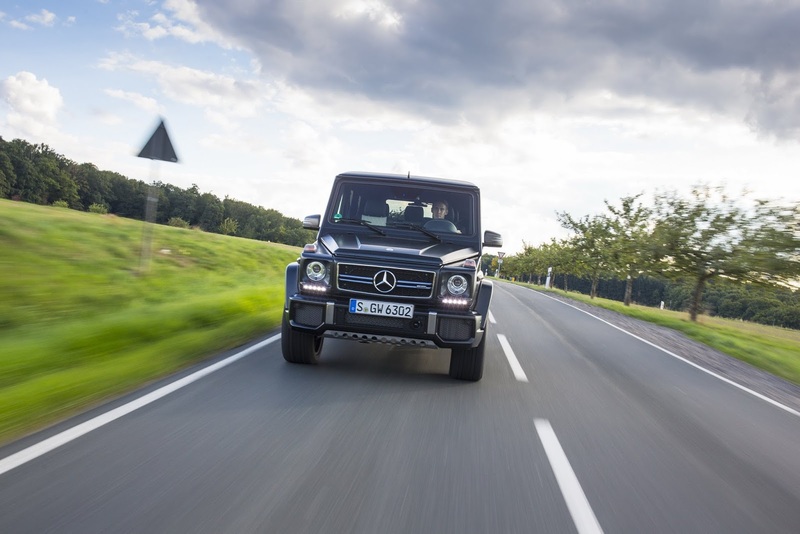 This layout allows a compact design, optimal response and low exhaust emissions. 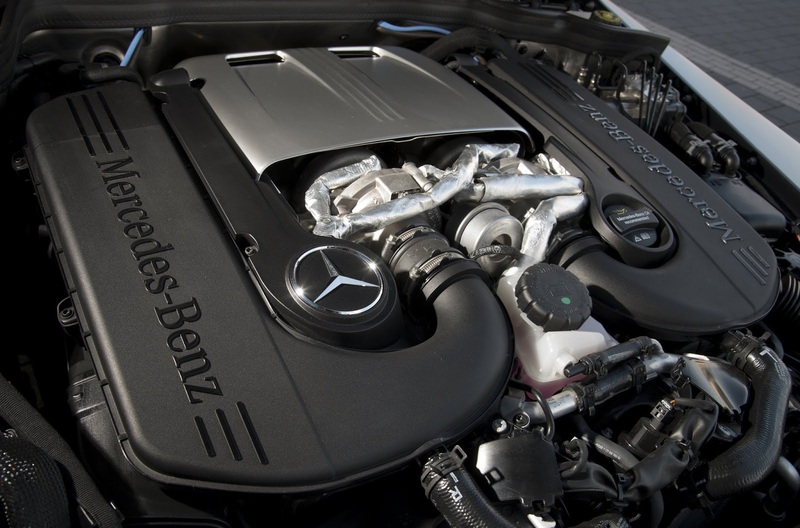 High efficiency is ensured by Mercedes‑Benz's use of piezo direct petrol injection with spray-guided combustion. 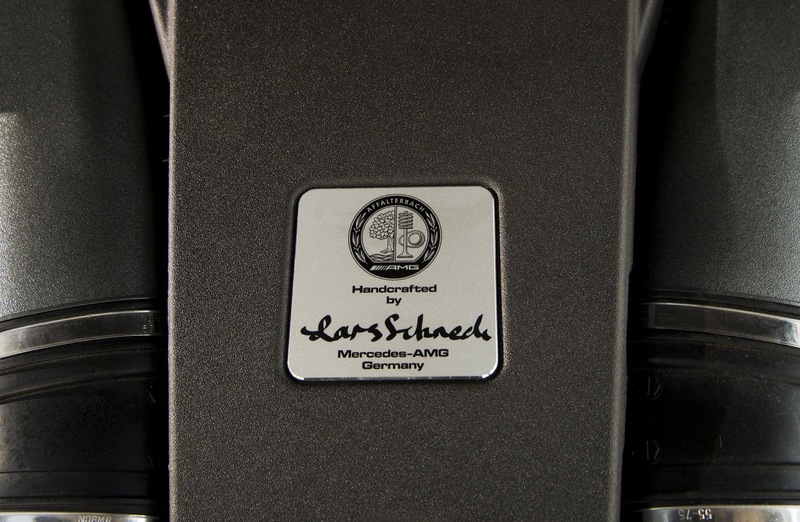 Maximum strength with lowest possible weight is guaranteed by the aluminium crankcase of the V8 engine. 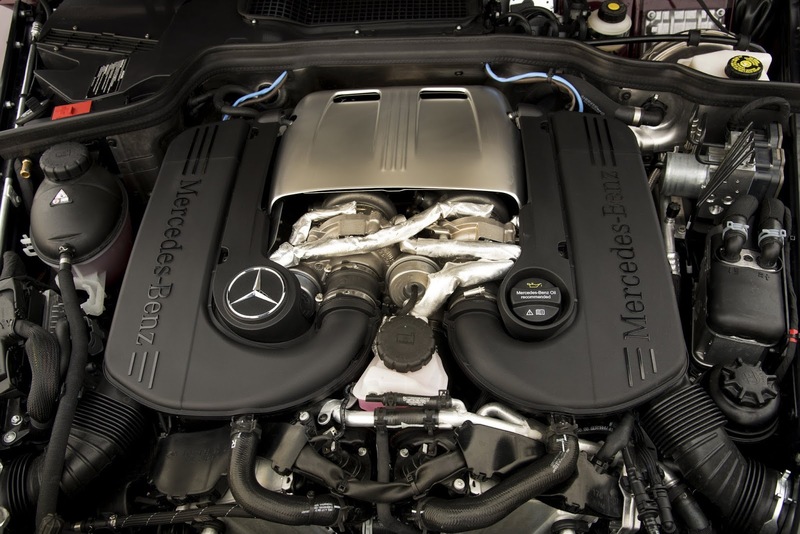 The cylinder bore surfaces feature Daimler's NANOSLIDE® technology, which makes them twice as hard as conventional cast-iron liners. 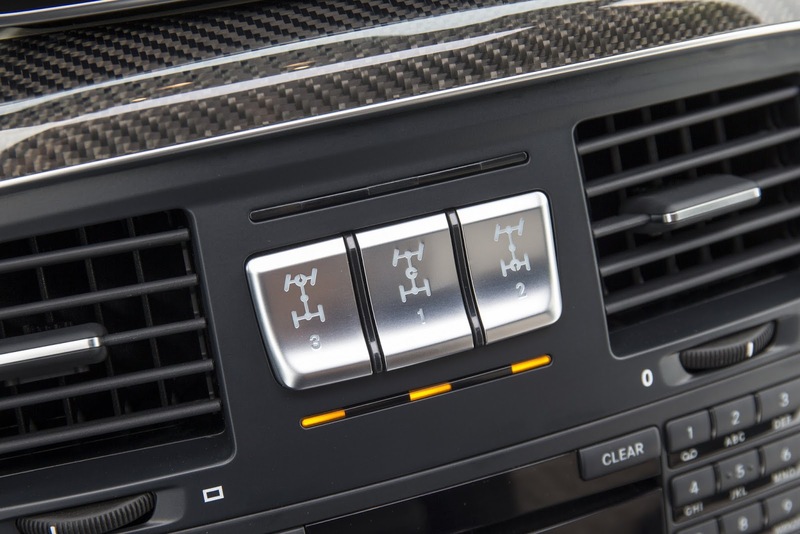 This minimises both internal friction and fuel demand. 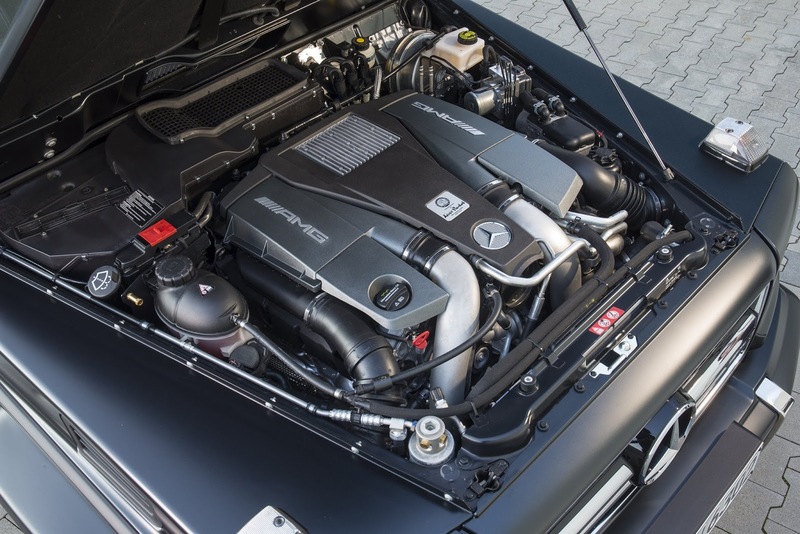 Compared with the previous 5.5-litre naturally aspirated V8 unit, the new 8-cylinder biturbo engine puts out 25 kW (35 hp) more power and 80 newton metres more torque. 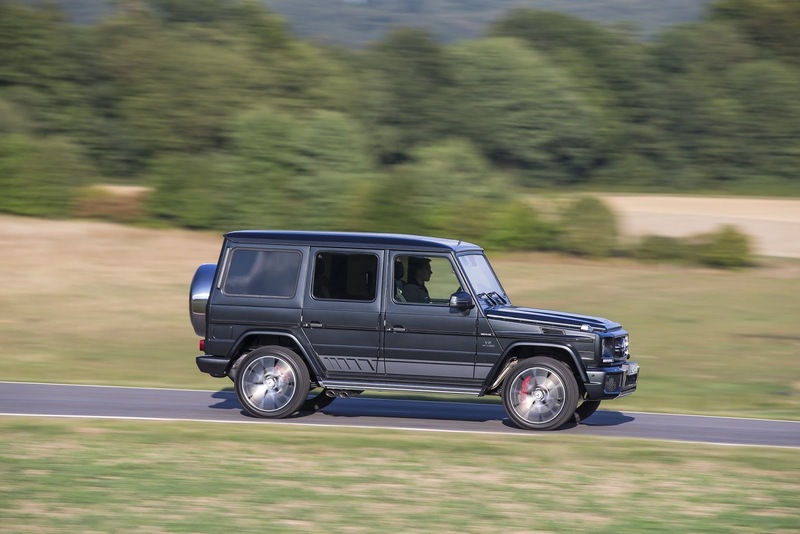 Turbocharging results in maximum power and torque being delivered at lower engine speeds, this being to the benefit of not just tractive power and performance, but also fuel economy. 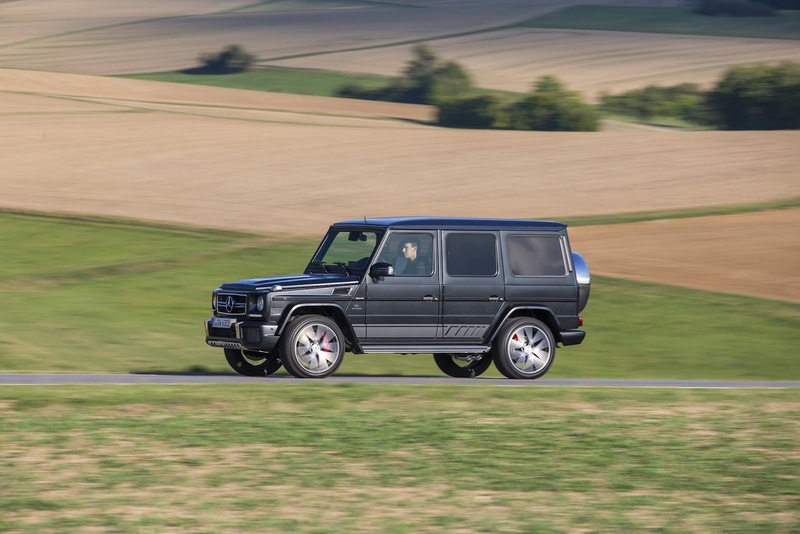 The new G 500 accelerates to 100 km/h in 5.9 seconds (previously: 6.1 seconds) and has a combined NEDC consumption of 12.3 litres per 100 kilometres (previously: 14.9 l/100 km). 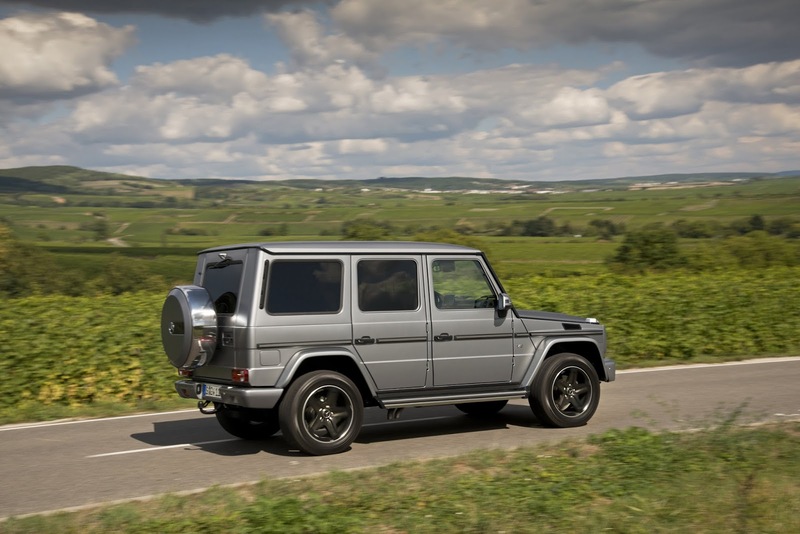 The G 350 d benefits from a hike in output from 155 kW (211 hp) to 180 kW (245 hp), with its torque climbing from 540 to 600 Nm. 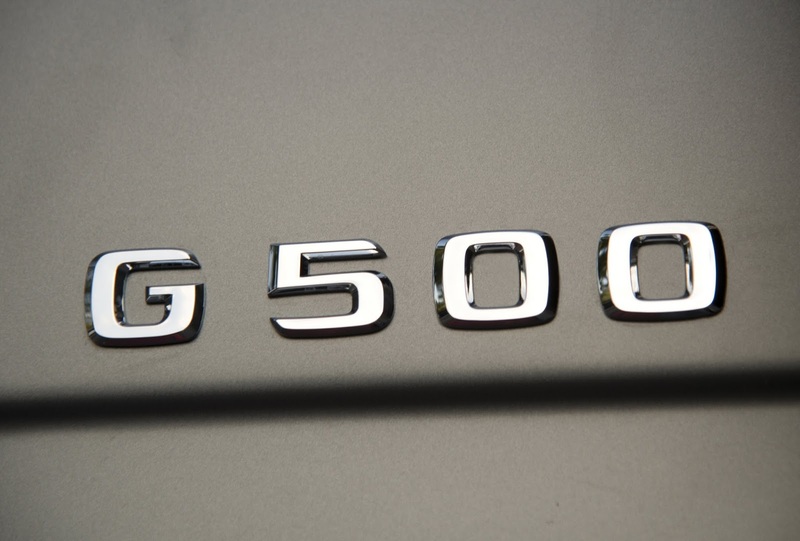 The G 350 d now accelerates from 0 to 100 km/h in 8.8 seconds instead of the previous 9.1 seconds. 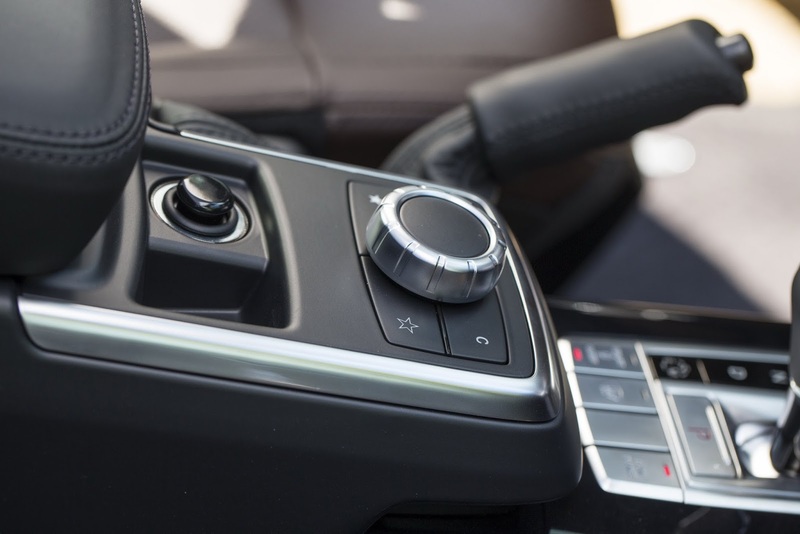 The combined NEDC consumption drops from 11.2 litres per 100 kilometres to 9.9 l/100 km. 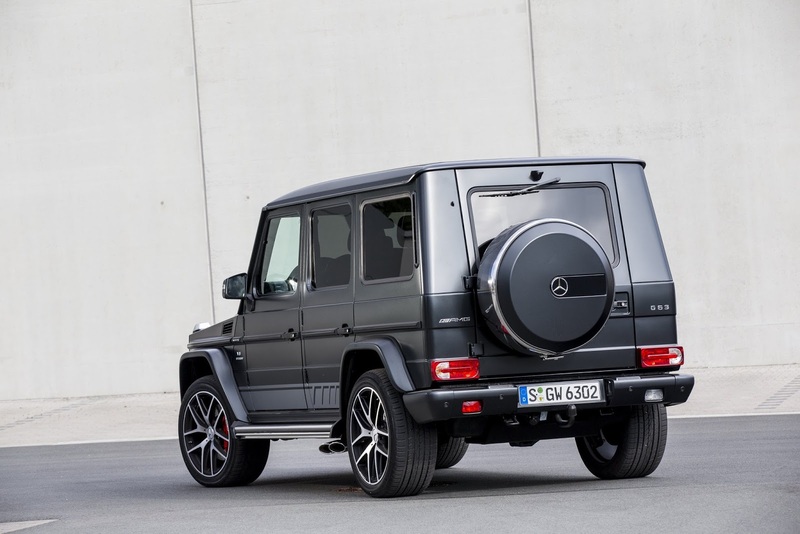 The AMG G 63 now delivers 420 kW (571 hp) instead of 400 kW (544 hp) with torque of 760 Nm. 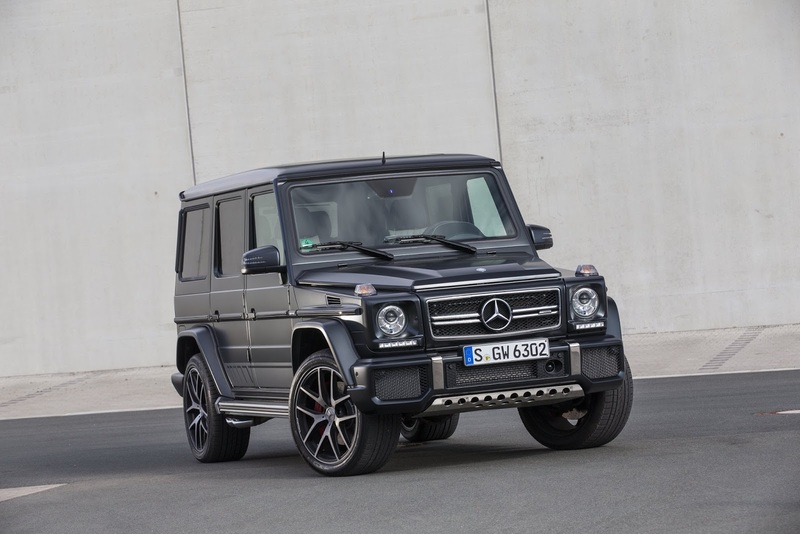 Instead of 450 kW (612 hp), the 12-cylinder powerplant in the AMG G 65 now puts out 463 kW (630 hp) with torque of 1000 Nm. 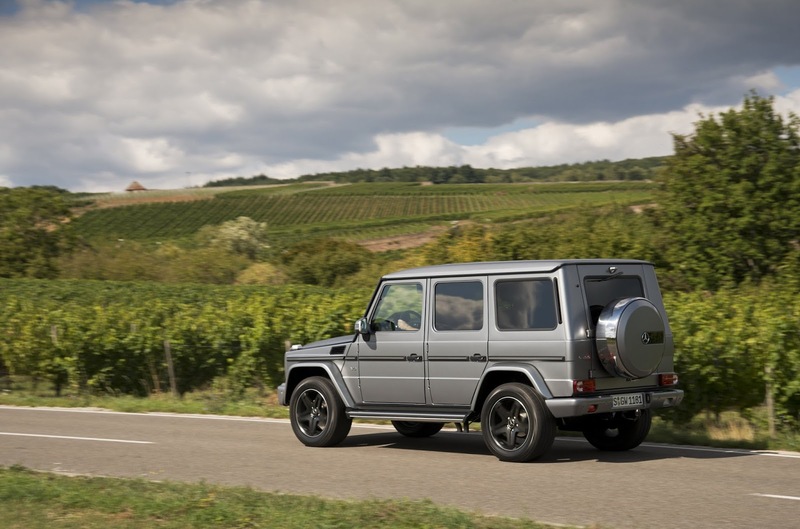 The G 350 d, G 500 and AMG G 63 are equipped as standard with an ECO start/stop function that reduces fuel consumption and emissions by switching off the engine when the vehicle is at rest, e.g. 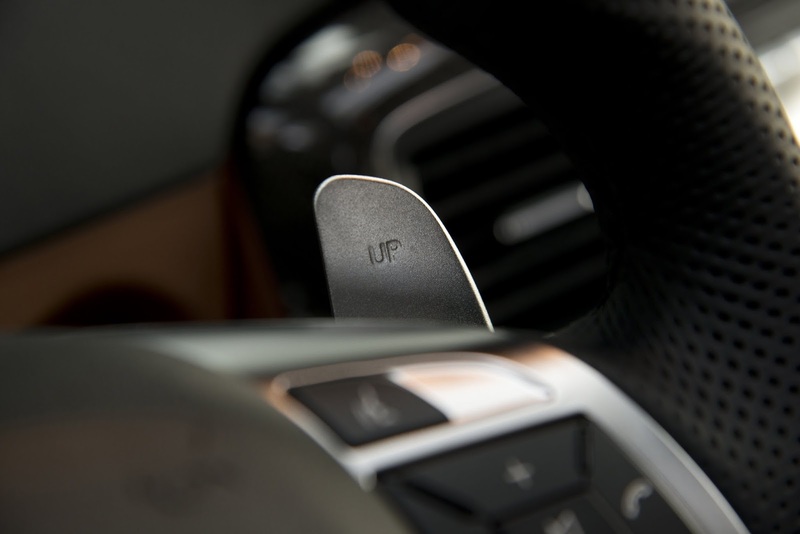 in a traffic jam or at traffic lights. 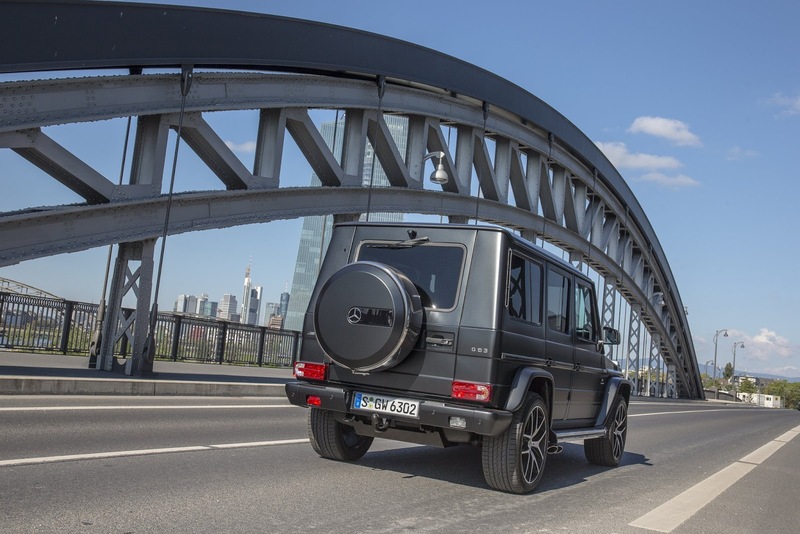 The standard suspension setup has been revised with optimised shock absorbers for improved control of body movements and even greater on-road ride comfort. 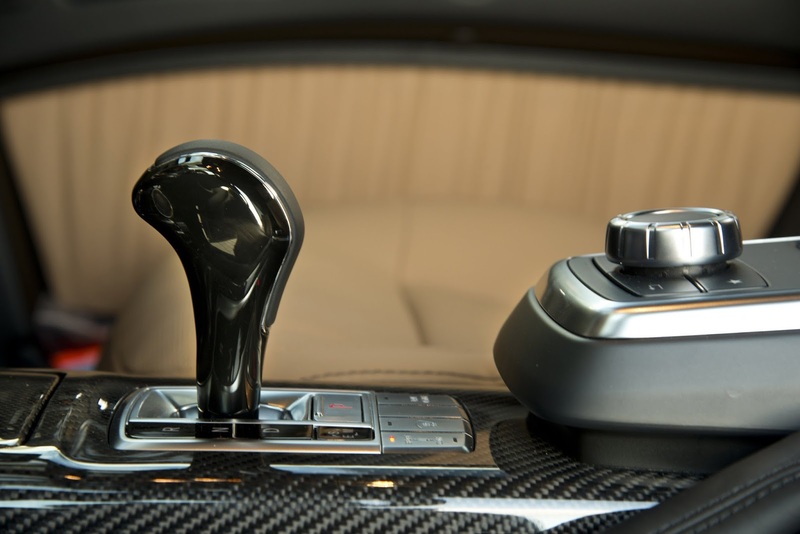 An adapted ESP® setup makes enhanced driving dynamics possible and, as a result, increased driving stability and road safety. 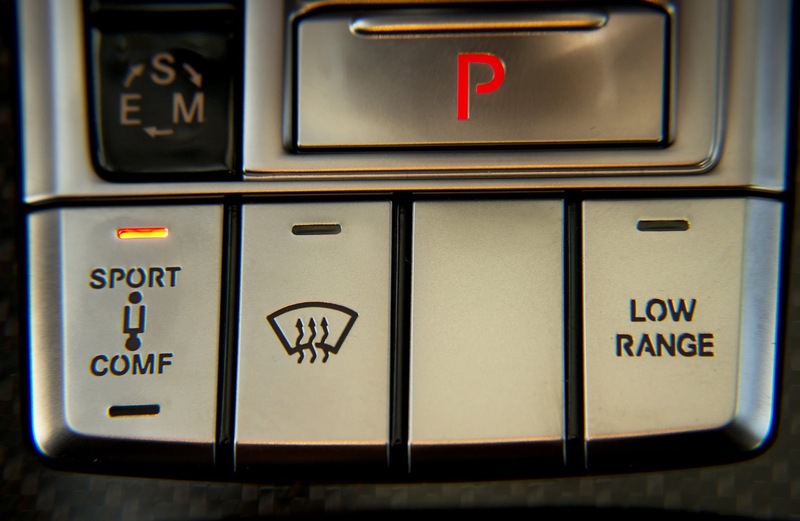 Optimisations to ASR and ABS result in improved traction while shortening the stopping distance when braking. 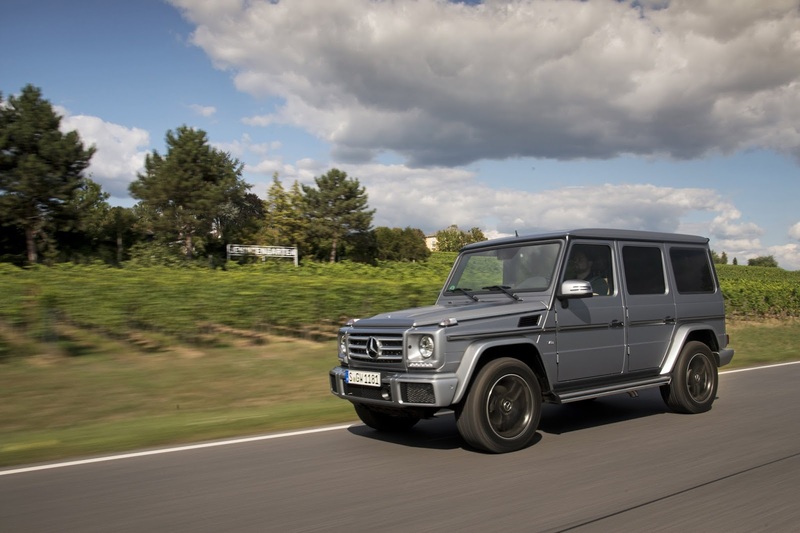 The front-axle load capacity has been raised by 100 kg to 1550 kg. 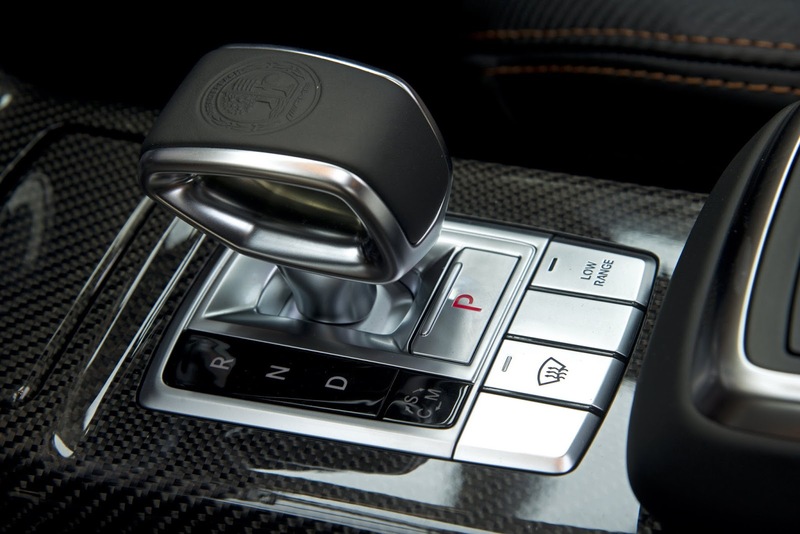 In addition, the G 500 is optionally available with a new adaptive damping system with Sport and Comfort modes. 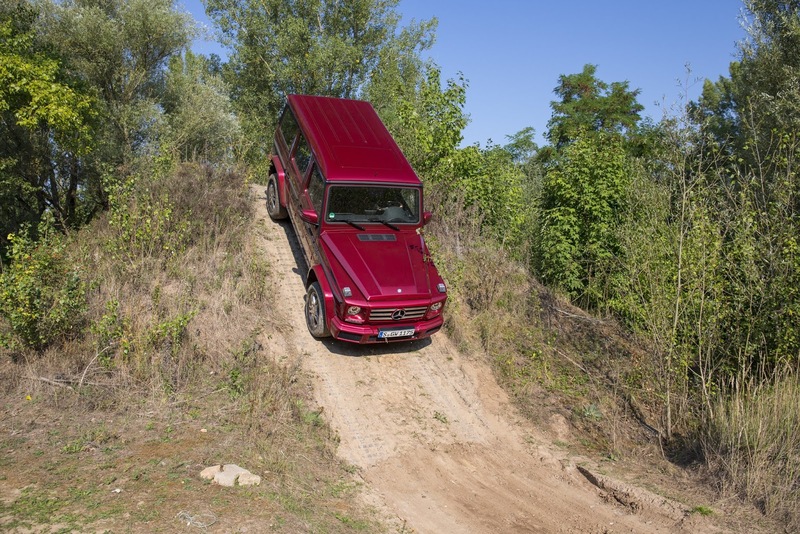 This provides a significantly more agile on-road performance in Sport mode with undiminished off-road capability while at the same time reducing the typical SUV roll in corners. 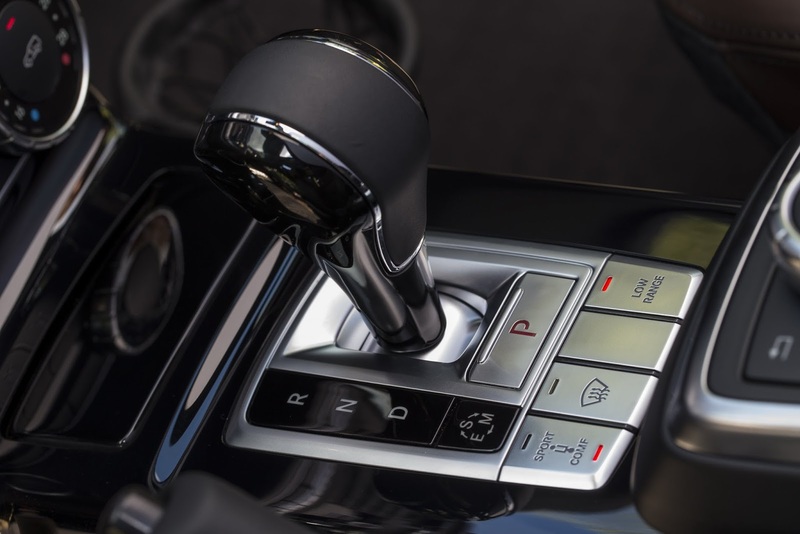 As already familiar from the AMG variants, the 7G-TRONIC PLUS automatic transmission in the G 350 d and G 500 models now also features a manual transmission mode. 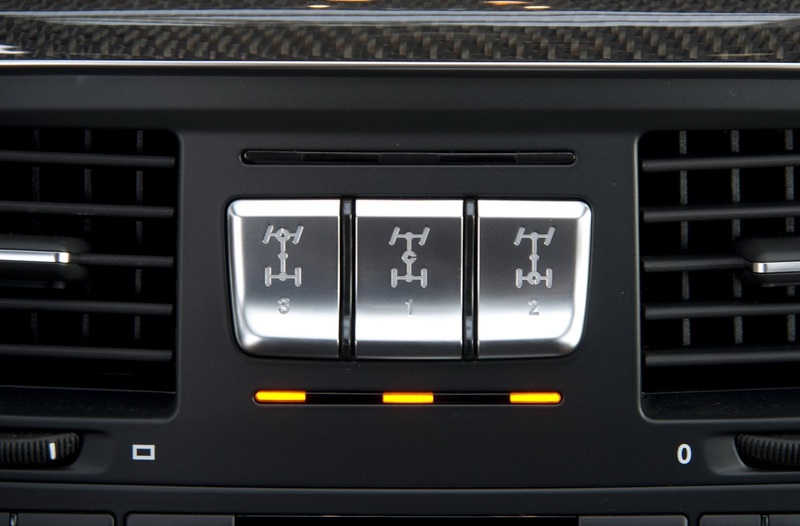 This mode, which can be conveniently activated by pressing the "M" button, allows the driver to savour the high available torque and to use the steering-wheel shift paddles to decide just when to change gear. 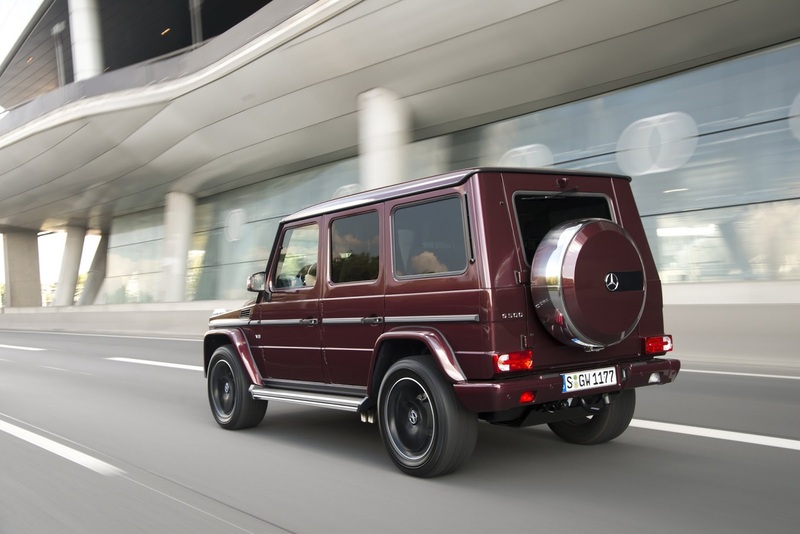 Visually, the new G 350 d and G 500 models are especially easy to identify by their restyled bumpers and now standard flared wheel arches in the vehicle colour. 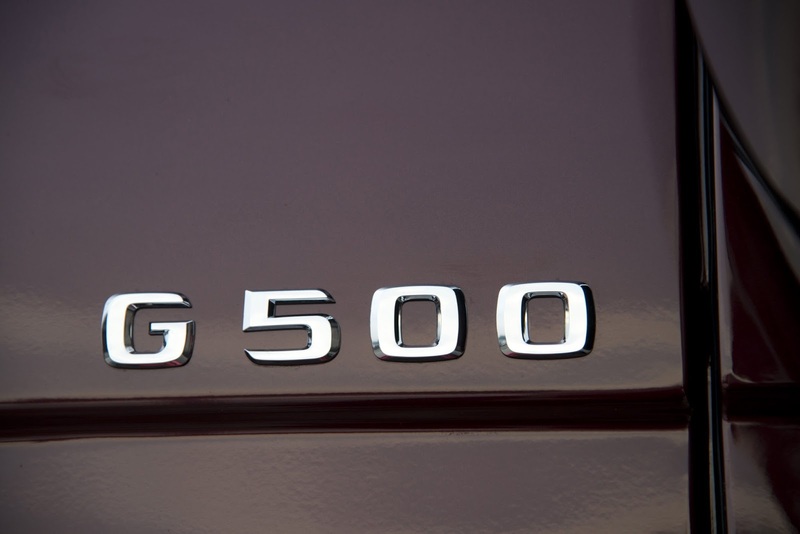 The G 350 d now also comes as standard with 45.7 cm (18-inch) five-spoke light-alloy wheels. 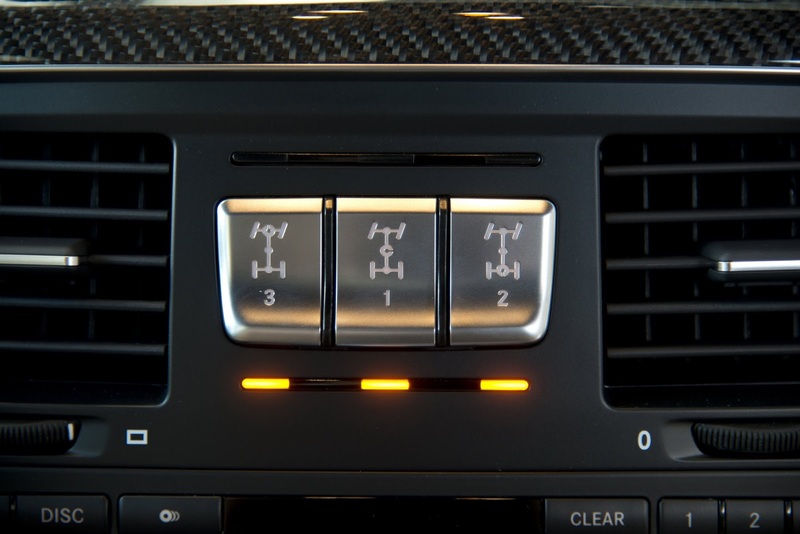 On the inside, the G 350 d and G 500 feature an eye-catching instrument cluster in two-tube look with 11.4 cm multifunction display and redesigned pointers and dials. 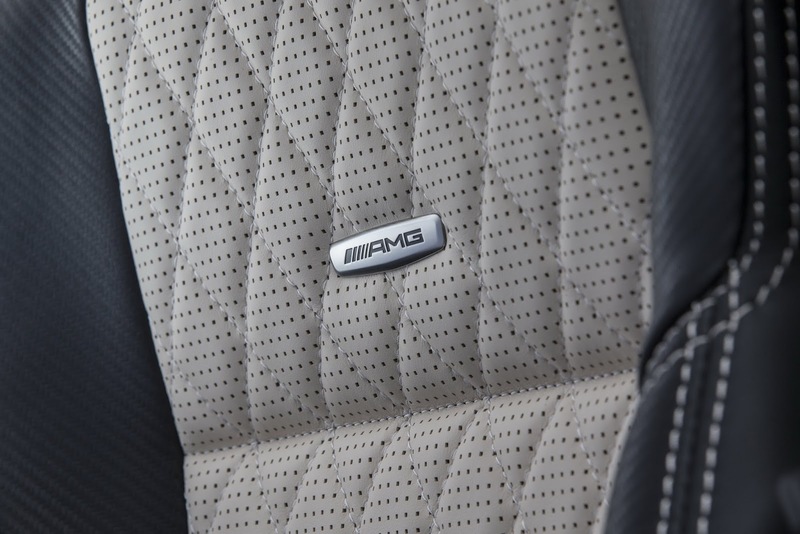 The two AMG models, too, sport a redesigned instrument cluster. 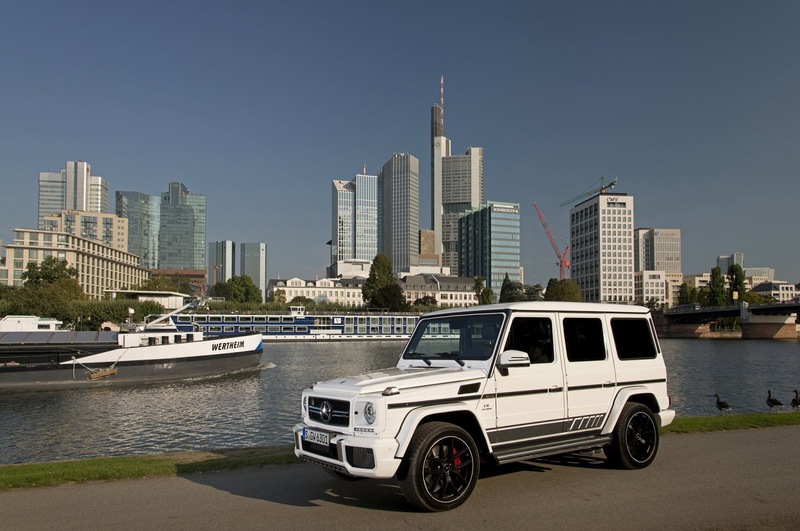 With the new EDITION 463 special model, Mercedes-AMG is giving the G 63 and G 65 an impressive sporty look. 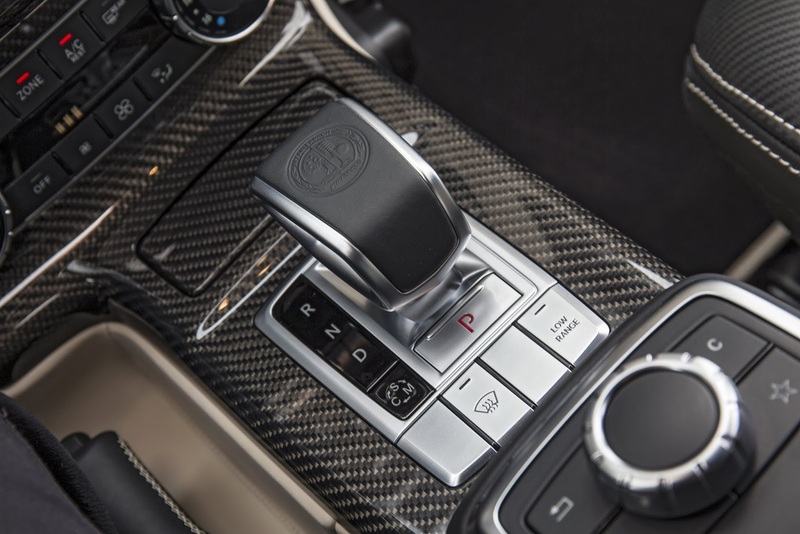 The exquisite interior specification includes a two-tone instrument panel, two-tone seats in high-quality designo leather with side bolsters in carbon-look leather and contrasting topstitching, seat and door centre panels in a diamond look, carbon-fibre trim and door pulls in nappa leather. 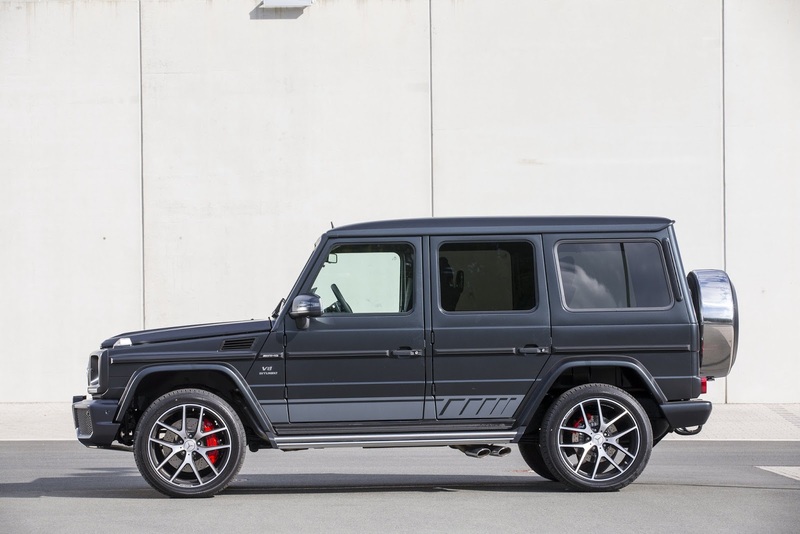 On the outside, a stainless steel underguard, AMG sport stripes along the sides and a protective-strip insert in black aluminium look underscore both the dynamics and exclusivity of the special model. 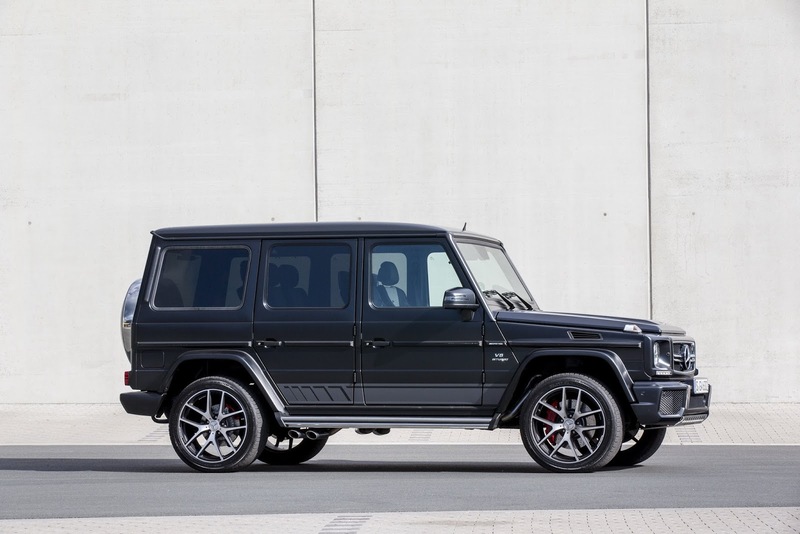 The G 63 is fitted with exclusive 53.3 cm (21-inch) 5-twin-spoke light-alloy wheels in matt black with high-sheen spokes and 295/40 R 21 wide-base tyres. 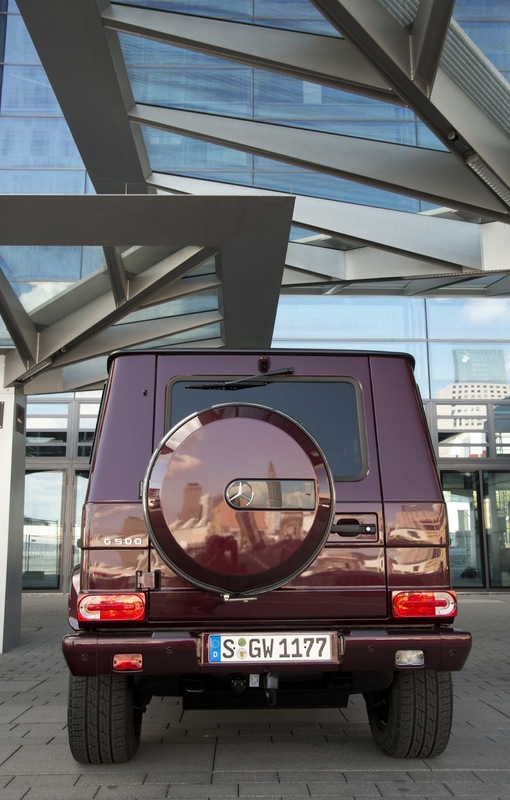 The G 65 has an exquisite look with identically sized, ceramically polished 5-twin-spoke light-alloy wheels. 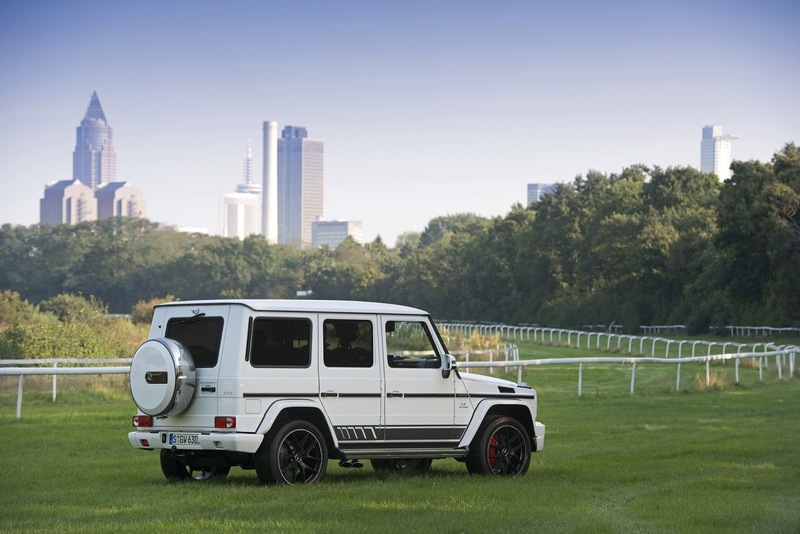 Having proved hugely popular with many customers, the G 500 4x42 show car is set to enter series production. 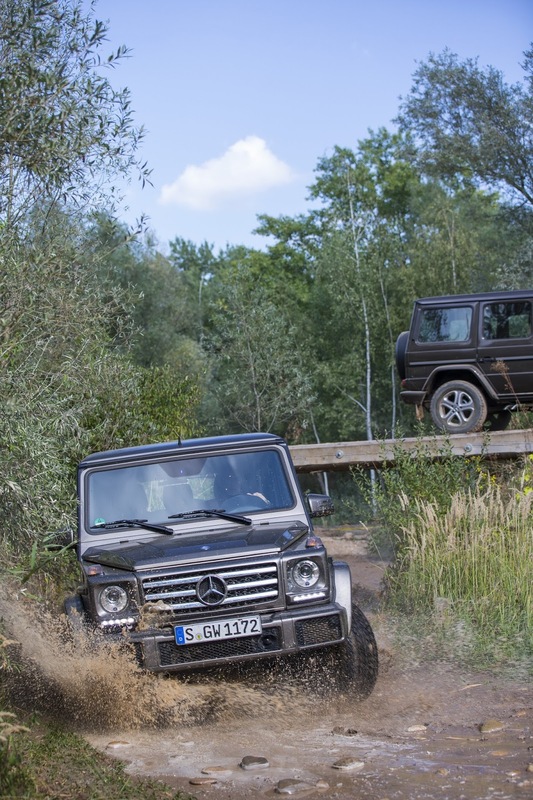 In the superlative-studded history of the G-Class, the G 500 4x42 is the new highlight in the model range. 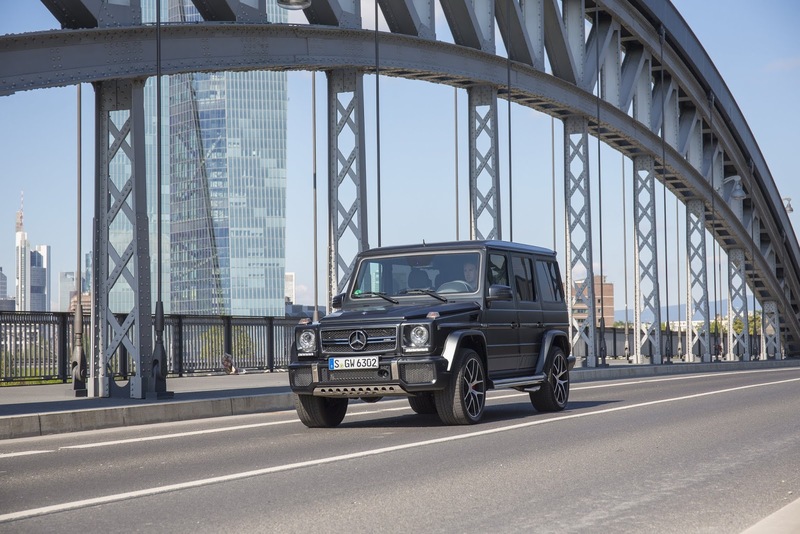 The technical package consists of the all-wheel-drive powertrain including portal axles and the new 4-litre V8 twin-turbo engine with an output of 310 kW (422 hp). 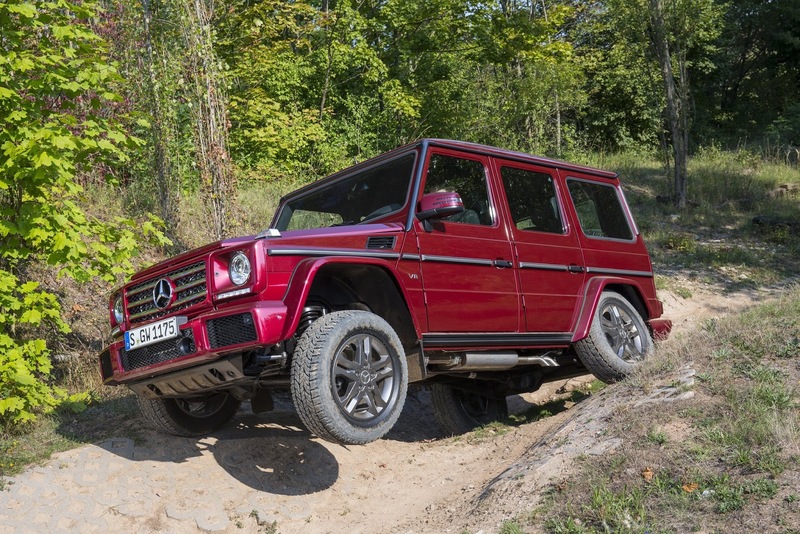 Also new is the chassis with dual spring/damper struts and adjustable damping. 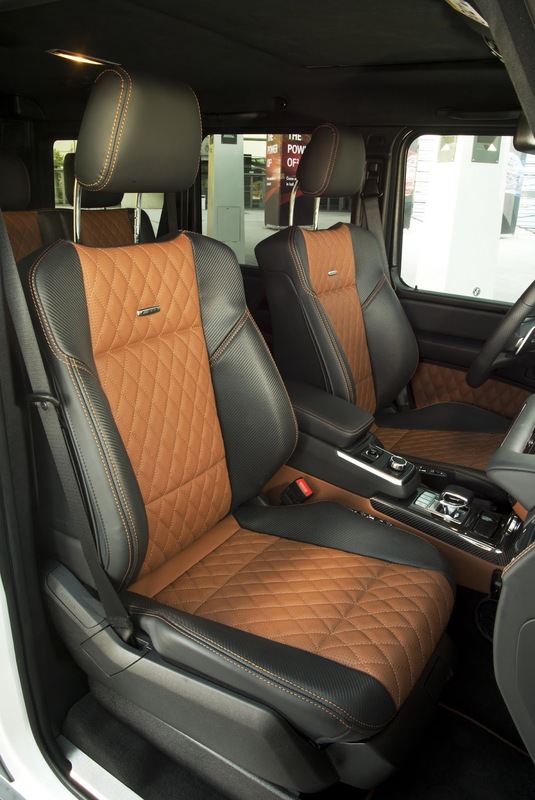 In the interior of the G 500 4x42, occupants enjoy comfort and an ambience on a par with a luxury saloon. 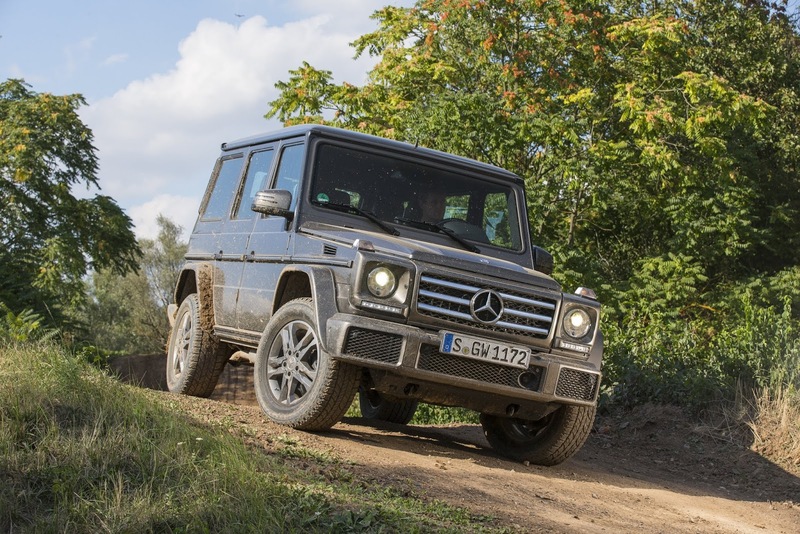 In view of the key data for the chassis and powertrain, it seems more than logical that the off-road world starts for the G 500 4x42 where other vehicles give up. 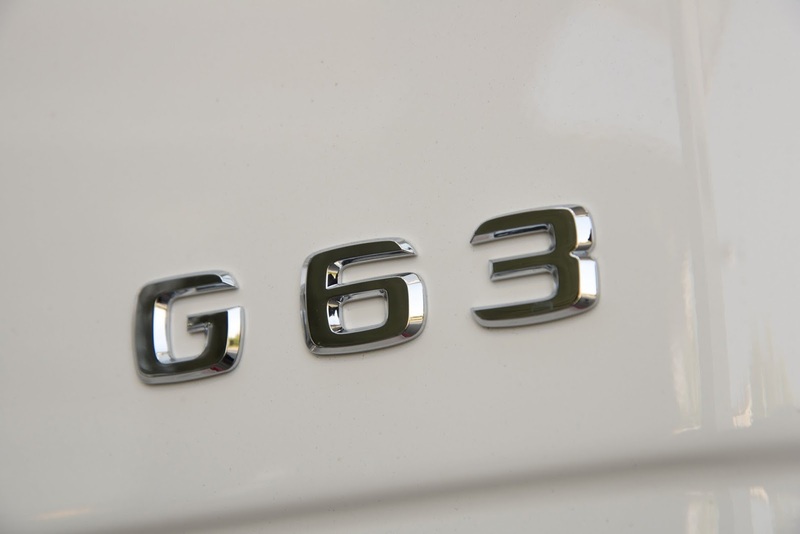 The new "G" also puts in an absolutely convincing performance on the asphalt. 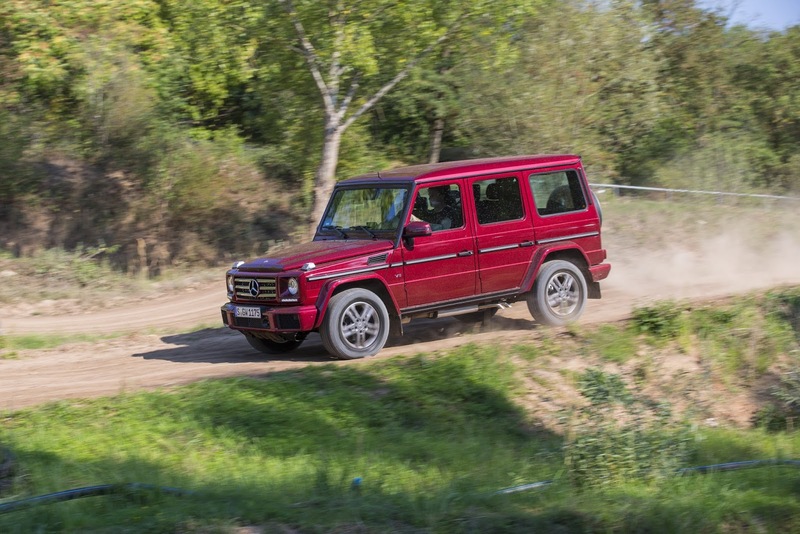 Owing to the considerably wider track of the portal axles compared with the series-production car (+264 mm), the large 22-inch 325/55 R 22-sized wheels and the adjustable damping with its Sport mode, the enhanced G-Class drives through bends so dynamically that the occupants feel as though they are in a sports car rather than a cross-country vehicle. 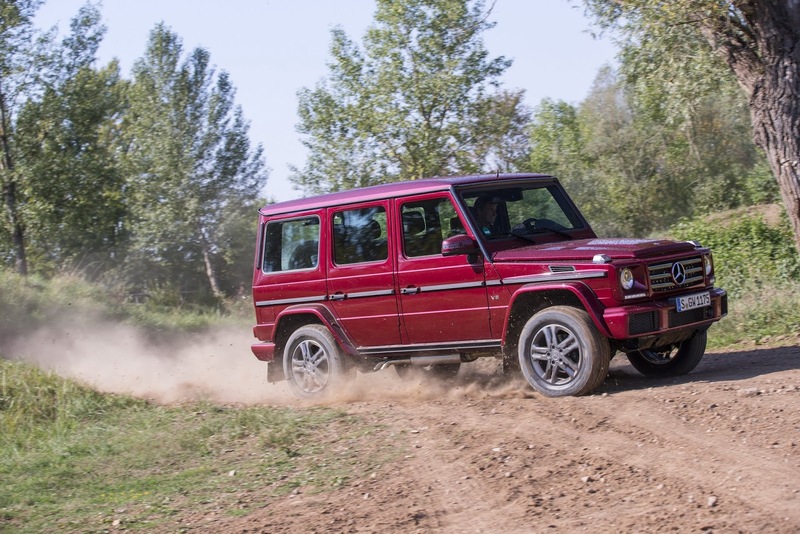 This also applies to outings on unsurfaced slopes or snow-bound roads, in which case the performance of a high-powered rally car kicks in. 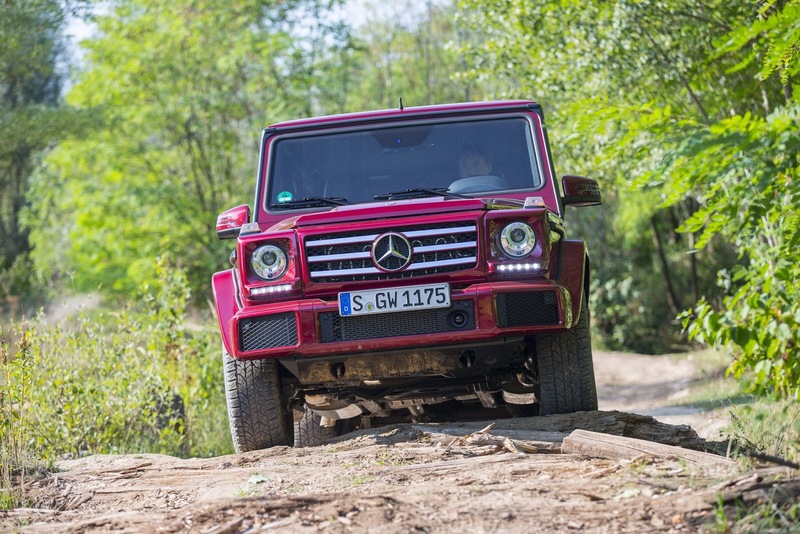 The G 500 4x42 will be in Mercedes-Benz dealer showrooms from December 2015, with all other new G-Class models being available from September 2015. 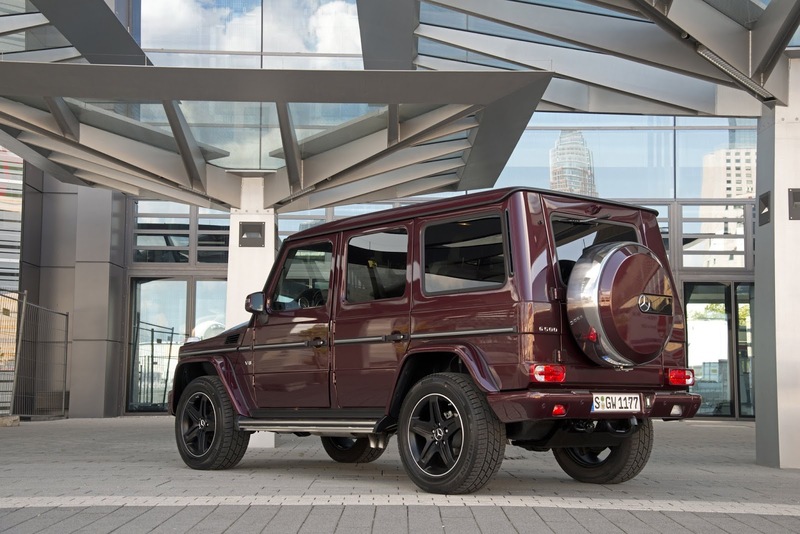 0 Responses to "Mercedes-Benz G-Class: The legend lives on"